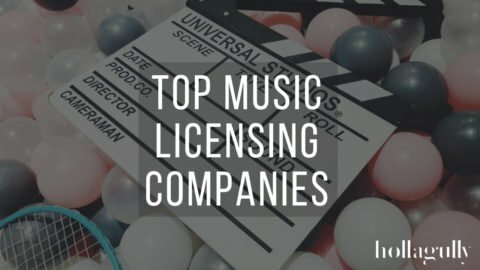 French audio company Focal are widely known for their high end audiophile products that have previously only been positioned for the professional end market. 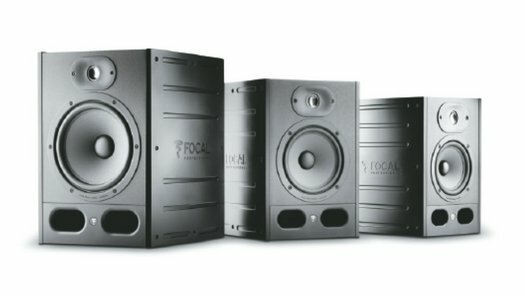 As this is almost always an impossible investment among home and project studio musicians, Focal has released their Alpha series available in diver sizes of 5″, 6.5″ or 8” that offer some of the most outstanding value for money in their class. 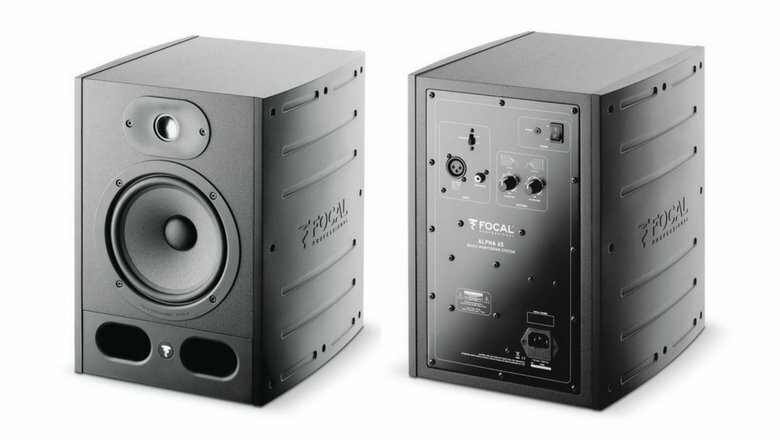 For the sake of this review, we’ll be looking at the Focal Alpha 65 in particular. These are the ones I’ve currently got my hands on that also suit the size of my studio. The features are consistent across the three models accept those which change when dealing with monitors of varying size. These active two-way near-field studio monitors are a fantastic option for all types of audio applications in recording and post-production. For a home studio looking to make a modest investment for the highest quality audio reproduction at the most affordable price, the Focal Alpha 65 check all the boxes and make a top candidate for your studio monitor shortlist. Lets begin with the front of the cabinet. First we have a 1” 35W aluminum inverted dome tweeter which have been one of Focal’s trademark components over the years. The idea here is that a hard concave dome, suspended by its outer edge and driven from the centre by a small-diameter voice coil, offers significantly better off-axis dispersion and lower distortion than a conventional edge-driven convex dome. This tweeter positioned in a concave waveguide provides an expansive soundstage which widens the listeners sweet spot and gives a more accurate reproduction while listening at different points in the room—great for presenting to clients or working as a team. Next in line is a 6.5″ woofer/midrange driver with a low-mass Polyglass cone. 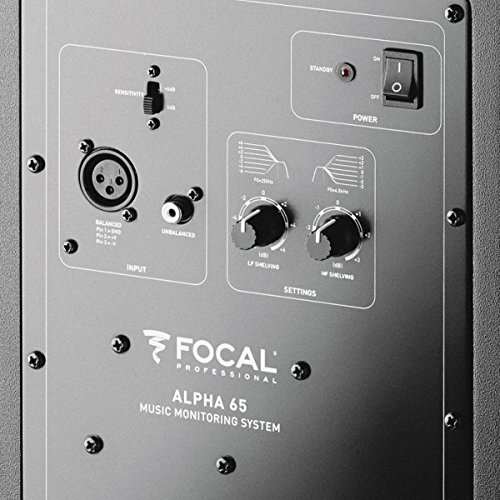 The active bi-amplified configuration of the Focal Alpha 65 means that each of the two speakers is provided a designated amplifier powering appropriate frequencies. These Class AB amplifiers pump the tweeter with 35W and the driver with 70W and automatically enter standby mode (indicated by a rear–panel LED) after 30 minutes without an input signal and start up again as soon as an input is detected. What’s great about this active bi-amplification configuration is that it eliminates the need for a separate power amp and keeps the amount of necessary gear to a minimum. Let’s not forget the already-limited space now saved. Together these two speakers offer a frequency range of 40Hz to 22kHz (+/- 3dB) and a maximum SPL of 106dB at one metre. This makes them a fine fit for any genre or home studio application with enough low end to get a good handle on sub frequencies without much need for a subwoofer. 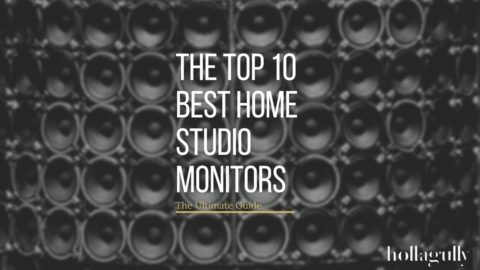 Of course, if you will be working with low-frequencies below 40Hz, in addition to a subwoofer you would also need a much larger room to handle these frequencies which most home studios just don’t have. To finish up the front panel are twin bass-reflex ports that extend into the back of the cabinet underneath the bass driver. These ports are tuned in such a way as to work with the resonating air from within the cabinet to boost more bass output than the driver alone is capable of producing. Being on the front of the cabinet as opposed to the rear means that bass is not fired against the back wall, causing reflections, phase cancellation or resonant spikes in signal at different points throughout the room. Between these ports you’ll find the Focal logo that is illuminated when the Alpha 65 is active. Moving to the rear of the cabinet we’ve got the connections and some noteworthy features. A balanced XLR and unbalanced 1/8″ RCA phono input connector are both active at all times meaning you may connect two sources simultaneously. 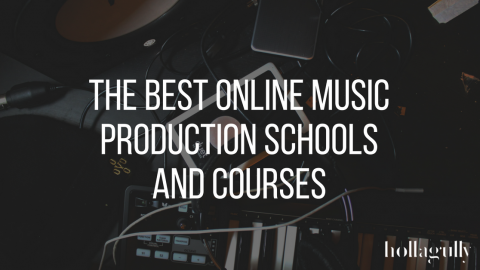 This feature is great for accommodating guests in the studio who come with consumer playback devices such as MP3 players, or for quick referencing off a smartphone. A two-position level switch boosts the output level by a significant +6 dB, allowing you to drive or cap off your monitors output levels to suit your room. Also on the rear are controls for low and high frequency shelving. Low frequencies are shelved at 250Hz from -6dB to +6dB by increments of 2dB. Same applies for the high frequency shelf which starts at 4.5kHz. These controls help you fine tune the output to suit your room. The bass cut control reduces some of the low end to prevent boominess that can accumulate in a small working environment, and high frequency adjustments can help reduce early reflections and ear fatigue. So let’s talk about how the Focal Alpha 65 sound. These were brought in to my studio to work alongside my PreSonus Eris E5 as a second monitoring option that offered more bass extension due to their larger driver. It’s worth mentioning here that Focal recommend 20 hours of bass-heavy music at a moderate level to wear them in. You may often find this process talked about when reading about speakers or headphones and you’ll likely find mix responses. Some manufacturers claim to let their products run a while before packaging and perhaps for this very reason. I didn’t notice any oddly inaccurate sounds, exaggerated frequencies, or anything of the sort off-the-bat. It’s hard to say if they sounded much different after I had let them crank for a while as I was playing a variety of genres, samples, and podcasts. There’s simply too much sonic variation. One of the most remarkable things I noticed is how consistent the frequency response was as I made broad changes with the master volume. What you hear is what you get at all playback levels and it is truly refreshing to work this way. I was initially concerned with the size of the large twin bass ports as they can sometimes have non-precise tuning and be a bit “porty” sounding. This is simply not the case with the Focal Alpha 65 even with my ear placed right next to them. The bottom end is full and tight, sounding completely accurate when designing fast transients in the low frequencies. There is no smearing or “woofiness” adding ornaments or false colorations to the lows. The mid-range is clear, detailed, revealing and totally natural. In the past, the low-mids have been a problem in my studio and, along with the upper highs, have been an area of a mix I find myself needing to revisit. These frequencies here are totally transparent and have helped me achieve some solid balance out of this crucial area of a mix. The same precision is found in the higher mids and treble which offers much depth to vocals, harmonies, chordal instruments, and makes effects like reverb and delay much more transparent. Percussion certainly benefits in this area as much tonal character is exposed. One can easily pull out a superior sense of context out of room mics and overheads and position them in the mix very sensibly. The next thing I’ve noted to mention about the Focal Alpha 65 are their pristine stereo image. I’m constantly referencing my mix on several pairs of headphones and like to compare the position of my panning across devices. On these, you can really get in there with lazar precision that translates well everywhere. They offer a sizeable sweet spot that allow you to move around the room without walking into unpleasant surprises that you feel you’ve gotta change, only to create a domino effect of issues down the line. 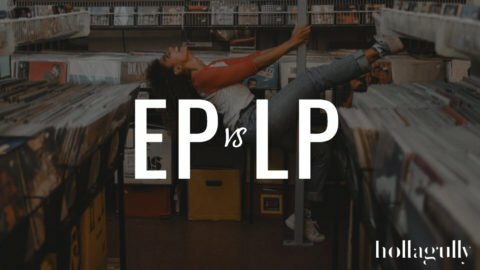 If you want value that will help elevate your work into the realm of the professional, allow you to work on a wide array of musical applications, and you have a budget of under $1000 for the pair, I’m certain you’ll find everything you’re looking for with the Alpha 65, or another size of the same series. 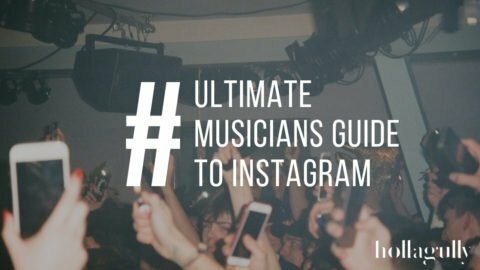 If you’ve got some previous experience with them, leave us some input in the comment sections and share what you’re liking or not about them.